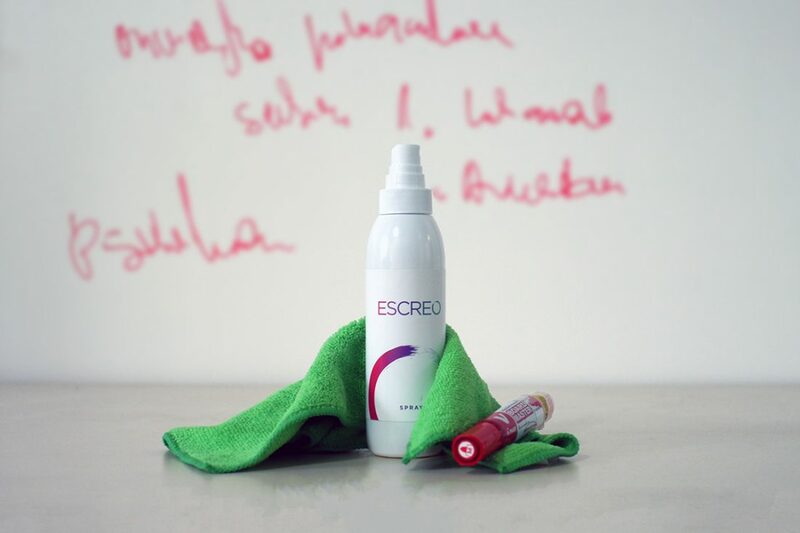 ESCREO’s whiteboard cleaning spray comes as part ESCREO’s accessory product pack. 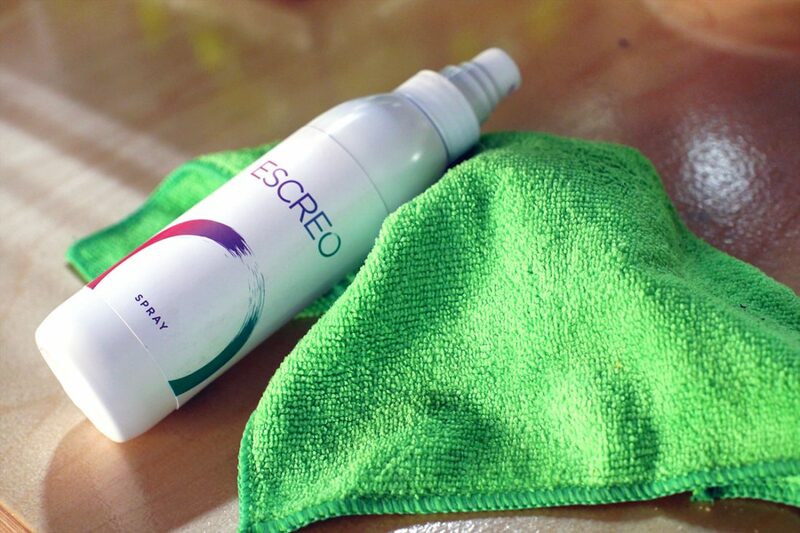 The spray solution is designed for deep cleaning of all surfaces that are covered with the ESCREO paint. Unlike other regular cleaning sprays that can potentially damage the paint, this one is created especially for cleaning markers and other stains from the ESCREO paint leaving no traces of ghosting. Created especially for cleaning whiteboard paint. Any other regular deep cleaning spray may severely damage the writing surface. Designed to keep the marker stains and ghosting at bay. A deep cleaning spray for whiteboard paint that goes easy on the paint when used consciously. The first few weeks are the most crucial for the maintenance of your painted surfaces. After you’ve followed the instructions for properly painting your walls and surfaces with ESCREO’s whiteboard paint you’re ready to write but you should keep the deep cleaning spray away in the counter for another two to four weeks. There are also a few rules you need to follow to avoid leaving permanent stains or damage to the writing surface. Cleaning general stains and marker traces left by low-quality markers. 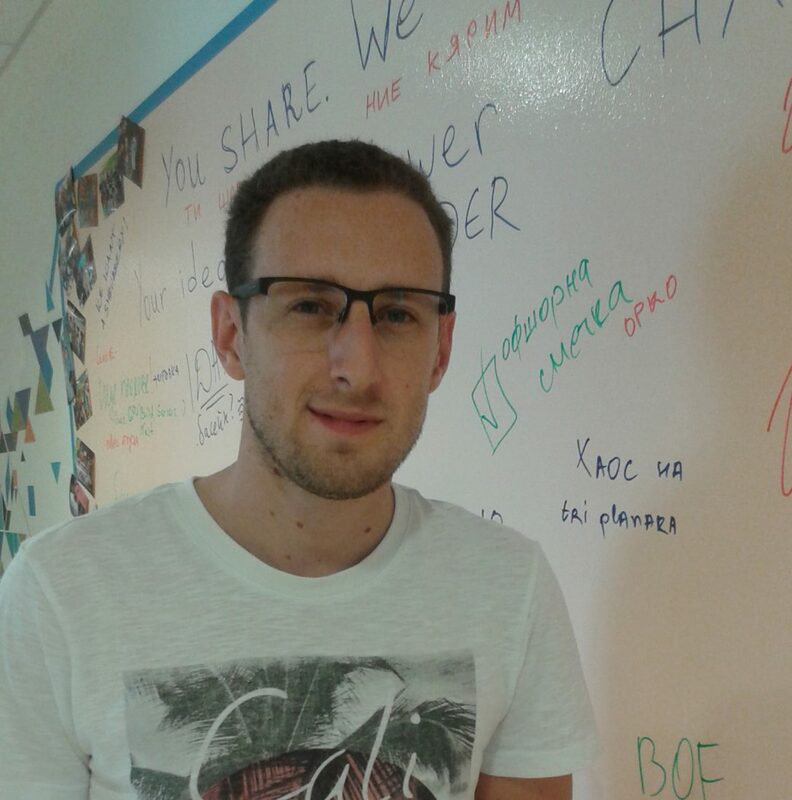 Removing any writing that has been left on the writing surface for more than a month. Rule #1: Don’t use the deep cleaning spray for 2-4 weeks after painting your surfaces. The paint needs time to set and dry completely so it’s important that you avoid the deep cleaning spray for this period. Otherwise, you may damage the smooth writing surface. Rule #2: Don’t leave your writings for over a month. The newly applied paint is sensitive to chemicals which includes both cleaning sprays and markers. While it sets it’s recommended that you avoid leaving your writings for more than a month or they may leave permanent traces in the paint. Keep those rolling chairs away from the walls and make sure you cover your desks and tables that are painted with Escreo. 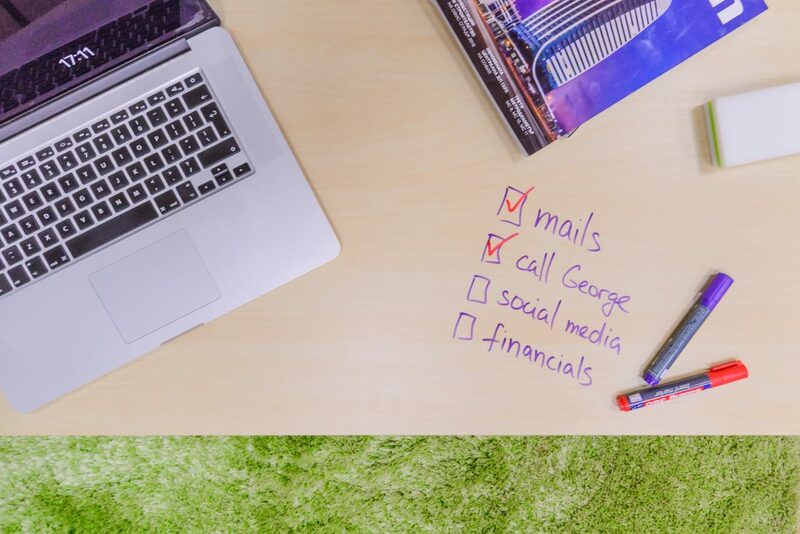 The whiteboard paint is especially sensitive to scratches and stains during the first few weeks so you need to take proper care of it by avoiding creating any preconditions for damage. The paint should be well set about two to four weeks after it has been applied. After this period you’re free to write and clean your writing surface on a more regular basis. You should restrain from writing on the surface for two hours after it’s been cleaned with the deep cleaning spray. You should use the deep cleaning spray no more than twice a week. For any other cleaning of the writing space, make sure you use a clean microfiber cloth. Don’t keep a dirty eraser for too long or you risk spreading the stains and dirt instead of wiping the surface clean.